American F1 team Haas has recently unveiled images for their latest iteration of Formula 1 car set to make its debut in this year’s season. The car, known as the Vf-19, will be first show in pre-season testing which is to start in February. Haas have set their focus on improving on their performance from last year’s career best finish of fifth place in the world championship. There most successful driver, Kevin Magnussen, stated that they don’t know where other teams will be, but that him and the team have high hopes that they can improve from last year. The Danish racer’s team mate, Romain Grosjean added to the statement, saying that 2018 was a big steep for Haas, and if they want to do better, fourth is currently their target but they will first need to see how the car behaves. 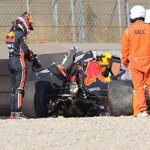 The new images show a car with new, wider front wings, which were mandated by officials at F1 who are hoping to improve racing overall within the series. The change, along with a wider rear wing, was first introduced with the hope of making races much closer and faster, allowing competitors to follow each other at smaller gabs. The new Haas vehicle comes in a black and hold colour scheme after they signed with their new title sponsor, Rich Energy, a start-up energy drinks brand, who have West Ham chairman David Sullivan as one of the company’s main shareholders. 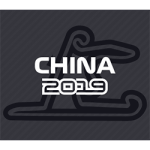 Lewis Hamilton has claimed victory at the Chinese Grand Prix for his first championship lead of 2019. 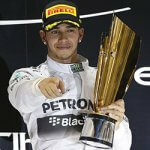 The Mercedes Driver pulled past teammate Valtteri Bottas – who had initially started …. 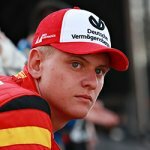 Mick Schumacher, who is the son of seven-time winner and famous racer Michael Schumacher, is set to make his Formula 1 test debut for Ferrari. The 20-year-old German will be …. Charles Leclerc has continued Ferrari’s impressive stats at the pre-season testing while Pierre Gasly has crashed his Red Bull during the penultimate day of testing. Leclerc managed to claim the …. Lewis Hamilton, five time F1 champion, has earned his 11th win of the 2018 season by taking first place for Mercedes at the season-ending Abu Dhabi Grand Prix. The Briton, …. The Haas Formula 1 team has starting protests against Racing Point Force India ahead of the season-ending Abu Dhabi Grand Prix. 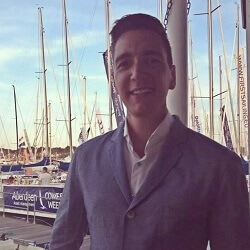 Both Haas and Force India have been ordered to ….